Hsueh-Ming Hang received the B.S. and M.S. degrees in control engineering and electronics engineering from National Chiao Tung University, Hsinchu, Taiwan, in 1978 and 1980, respectively, and Ph.D. in electrical engineering from Rensselaer Polytechnic Institute, Troy, NY, in 1984. From 1984 to 1991, he was with AT& T Bell Laboratories, Holmdel, NJ, and then he joined the Electronics Engineering Department of National Chiao Tung University (NCTU), Hsinchu, Taiwan, in December 1991. From 2006 to 2009, he took a leave from NCTU and was appointed as Dean of the EECS College at National Taipei University of Technology (NTUT). From 2014 to 2017, he served as the Dean of the ECE College at NCTU. He has been actively involved in the international MPEG standards since 1984 and his current research interests include multimedia compression, multiview image/video processing, and deep-learning based image/video processing. Dr. Dr. Hang holds 14 patents (Taiwan, US and Japan) and has published over 200 technical papers related to image compression, signal processing, and video codec architecture. He was an associate editor (AE) of the IEEE Transactions on Image Processing (1992-1994, 2008-2012) and the IEEE Transactions on Circuits and Systems for Video Technology (1997-1999). He is a co-editor and contributor of the Handbook of Visual Communications published by Academic Press in 1995. 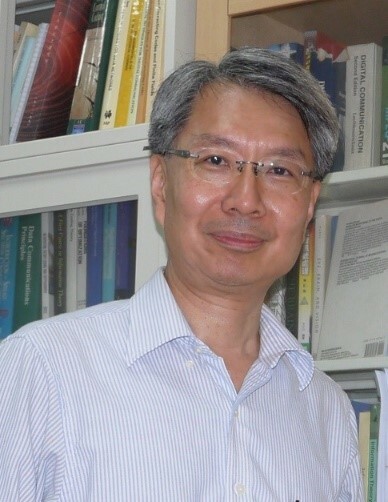 He was an IEEE Circuits and Systems Society Distinguished Lecturer (2014-2015).and is currently a Board Member of the Asia-Pacific Signal and Information Processing Association (APSIPA). He received the Distinguished Engineering Professor Award from Chinese Institute of Engineers (2005) and Chinese Institute of Electrical Engineering (2012). He is a recipient of the IEEE Third Millennium Medal and is a Fellow of IEEE and IET and a member of Sigma Xi.